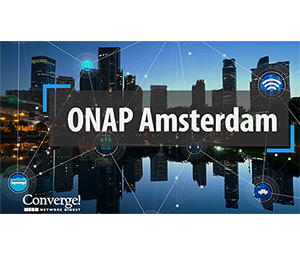 ONAP is a next-generation automation platform and "Amsterdam" is the first software release for early deployments. Open Network Automation Platform (ONAP) Project, which unites AT&T's open source ECOMP and the Open Orchestrator Project (OPEN-O). In this four-minute video, Arpit Joshipura, GM of Networking for The Linux Foundation, walks us through highlights of the Amsterdam release. The U.S. Department of Justice will file a legal case to block the proposed AT&T + Time Warner merger. 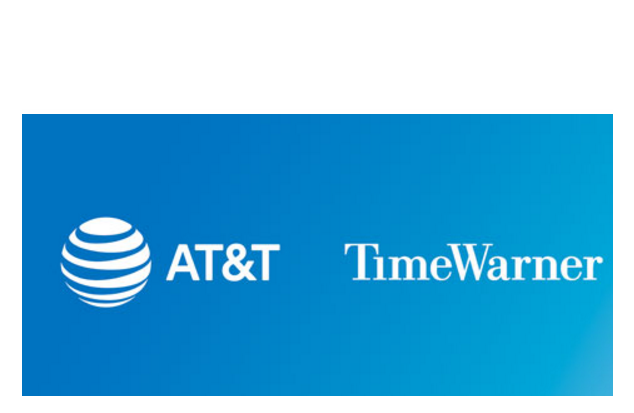 It has been nearly 13 months since AT&T first announced its intention to acquire Time Warner. The companies said the reason for the deal is to combine Time Warner's vast library of content and ability to create new premium content with AT&T's extensive customer relationships, world’s largest pay TV subscriber base, and leading scale in TV, mobile, and broadband distribution. Time Warner, which was formed in 1990 through the merger of Time Inc. and Warner Communications, encompasses a number of premium media properties, including HBO, New Line Cinema, Turner Broadcasting System, The CW Television Network, Warner Bros., CNN, Cartoon Network, Boomerang, Adult Swim, DC Comics, Warner Bros. Animation, Castle Rock Entertainment, Cartoon Network Studios, Esporte Interativo, Hanna-Barbera Productions, Warner Bros. Interactive Entertainment. It also owns 10% of Hulu. Marvell Technology Group Ltd., which is a leading supplier of HDD and SSD storage controllers along with wireless and Ethernet components, agreed to acquire Cavium for $40.00 per share in cash and 2.1757 Marvell common shares for each Cavium share, representing a transaction value of $6 billion. Current Cavium shareholders would own approximately 25% of the combined company. Cavium, which is based in San Jose, California, offers a portfolio of multi-core processing, networking communications, storage connectivity and security silicon solutions. For Q3 2017, Cavium reported net revenue of $252.0 million, a 4.1% sequential increase from the $242.1 million reported in the second quarter of 2017, and a GAAP net loss of $6.2 million, or ($0.09) per diluted share. Marvell, which is based in nearby Santa Clara, California but has its corporate headquarters in Bermuda, was founded in 1995 and has over 5,000 employees and over 9,000 patents. For its most recent fiscal quarter, Marvell reported sales of $605 million, and GAAP net income from continuing operations of $135 million, or $0.26 per share. The company underwent a restructuring in October 2016. Marvell said the acquisition will give it scale and breadth to deliver end-to-end solutions across the cloud data center, enterprise and service provider markets. The companies expect at least $150 to $175 million of annual run-rate synergies within 18 months post close. American Tower Corporation completed its previously announced acquisition of KIO Networks’ infrastructure subsidiary in Mexico. The deal includes more than 50,000 concrete poles and approximately 2,100 route miles of fiber, primarily located in Mexico’s key urban centers. The price was approximately $500 million in cash. Citigroup acted as American Tower's exclusive financial adviser and Kilpatrick Townsend & Stockton and Holland & Knight as its legal advisers. American Tower, one of the largest global REITs, has a portfolio of approximately 149,000 communications sites. 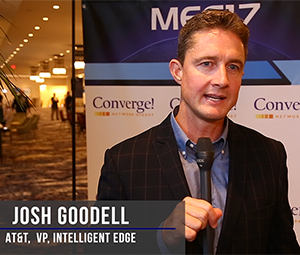 2017 was all about virtualizing the edge and 2018 will be about creating intelligence at the edge and expanding it to the cloud, says Josh Goodell, VP, Intelligent Edge, AT&T. Application-aware #SD-WAN capabilities will make the extensible platform real. 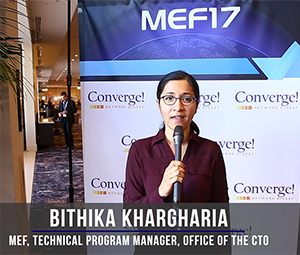 The MEF17 LSO Hackathon attracted participants to work on several projects in various layers of lifecycle service orchestration, says Bithika Khargaria, Technical Program Manager, Office of the CTO at MEF. Here's an overview of the hackathon. AISense, a start-up based in Los Altos, California raised $10 million in Series A round for its Ambient Voice Intelligence technology. AISense's mission is to make voice conversations accessible and searchable. The company's technology is already being used for providing transcriptions for the Zoom Video Communications platform. AISense is planning to launch a consumer product in early 2018. The idea is to give people the power to store, search and share the details of their everyday conversations. The funding round was led by Horizons Ventures with participation from Tim Draper’s Draper Associates and Draper Dragon Fund, David Cheriton, the first Google investor, and Bridgewater Associates, among others. Bart Swanson, an advisor at Horizons Ventures, has also joined the AISense board. Scalyr, a start-up based in San Mateo, California, raised $20 million in Series A funding for its cloud-based log management and server monitoring service. Scalyr, which was founded by two former Google engineers, aggregates a company’s server logs and metrics into a centralized system for analysis and troubleshooting. The company said its solution takes advantage of the cloud’s economies of scale and allows for efficiencies unseen in rival log management systems. Scalyr said its system enables engineers to search 1 terabyte of log data per second. The company notes 140 customers, including CareerBuilder, Business Insider, OkCupid, Baidu and Giphy. The funding round was led by Shasta Ventures with participation from earlier investors Bloomberg Beta, Susa Ventures and Heroic Ventures. 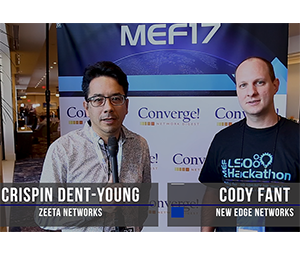 Crispin Dent-Young and Cody Fant talk about progress at MEF17's LSO Hackathon.